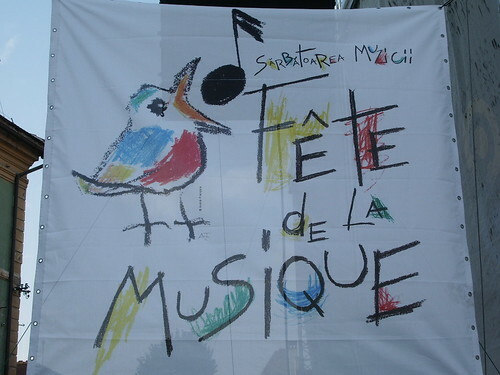 This poster is for a film showing the following week at the Arta cinema. “4 Months, 3 Weeks, 2 Days” (or as everyone called it, “4,3,2”) won the Palme d’Or at the Cannes Film Festival in 2007. I saw it in Glasgow last year. It’s rather harrowing (understatement) but is an absolutely remarkable film, I do recommend you see it if you haven’t already. Details about the film are here. A bit of politics and history for my last day in Sibiu (in the summer anyway, as I said I did go back a couple of months later – photos from that from next week!). Before World War 2 Romania stretched further east than it does now, and incorporated an area then called Basarabia (Bessarabia in English) which now forms the bulk of the modern day Republic of Moldova (which is where I went after Sibiu). During WW2 Basarabia and the far north of the country (northern Bukovina) were annexed by Stalin as part of the Molotov-Ribbentrop Pact, Bukovina becoming part of Ukraine and Basarabia becoming the bulk of the Moldovan Soviet Socialist Republic, both part of the Soviet Union. The majority (but not all – I think now around 65%) of the population are Romanian-speaking, and there is a small but vocal movement of people in both Moldova and Romania who want to reunite. 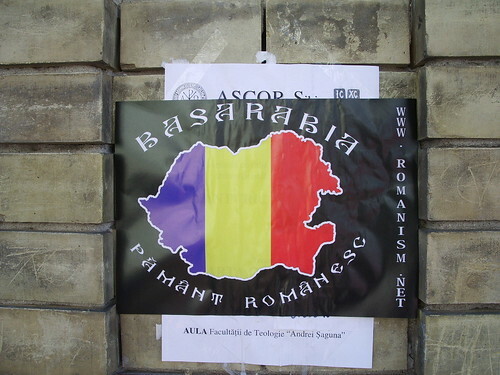 I don’t know too much about this campaign, though I saw “Basarabia Pamant Romanesc” (which roughly means “Basarabia – Romanian land” – though “pamant” has deeper connotations than English “land”) grafitti all over the place in both countries. I think a lot of young people from the Orthodox Church have got behind the campaign too. This poster (which shows the pre-War borders including Basarabia in the east) was in Str. 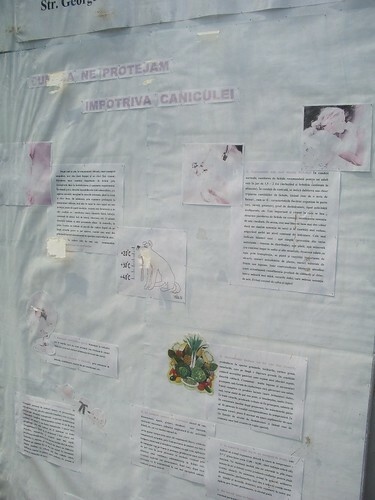 Mitropoliei, if I remember correctly it was stuck onto a noticeboard near the Orthodox Cathedral or the Theological Seminary – ASCOR (who author the notice it’s stuck over) are the Association of Christian Romanian Orthodox Students (who I have to say are way too right-wing and nationalist for my liking – actually that’s putting it mildly – I’m not too sure how linked the two organisations are). 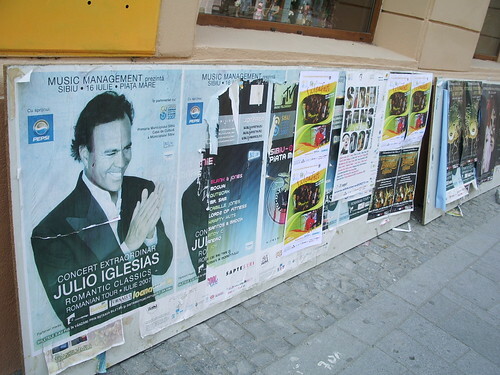 This poster advertised another music festival that was going on. I did hang around waiting for something to happen but didn’t get the chance to see anything from this particular festival. I thought the poster was cute though. Despite being part of Transylvania, Sibiu mostly managed to escape the excesses of the Dracula/vampire stereotyping. 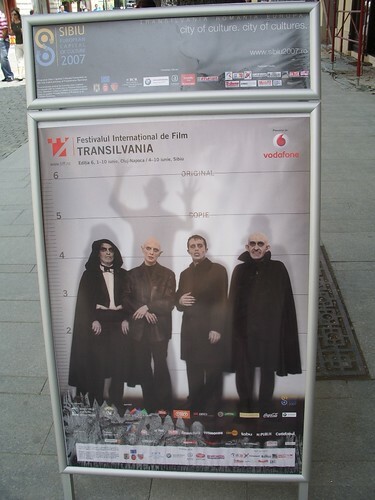 This poster for the Transylvania International Film Festival though did give a quite clever nod to the stereotype. Having recently enjoyed many of the cultural events of the International Theatre Festival, no sooner was that over than the Transylvanian International Film Festival (TIFF) started. I already mentioned a few days ago that I had failed to get a ticket for a special showing of “4,3,2”, but I was really delighted that not only was I able to go to this concert, but it was absolutely free! The guy in the box office really enjoyed my disbelief, having seen my disappointment about the film. 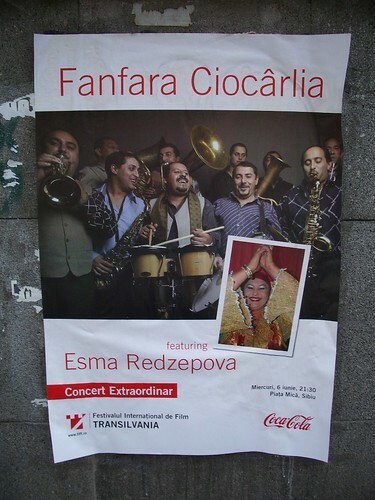 This group, Fanfara Ciocarlia, are one of the well-known gipsy bands from Romania. They even featured in the film “Borat”, and (perhaps less famously) on my Glasgow Daily Photo blog last year as they played at the Celtic Connections Festival. Later in the week I’ll show some pictures from the concert (which was one of the best live gigs I have ever ever been to).